To create a unit for the Company, click on “Masters > Unit Creation”. 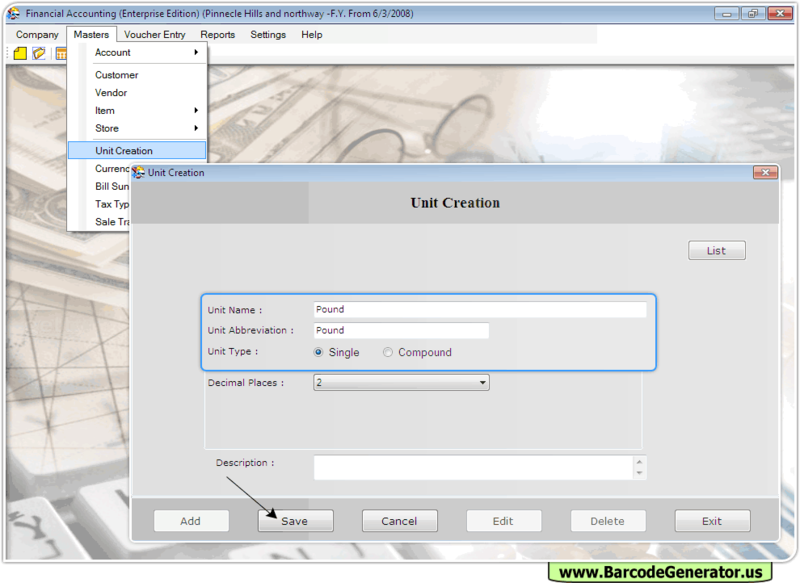 Enter the name of unit to be created, abbreviation for the unit and select the type of unit. Enter the special note for unit to be created in Desciption field. 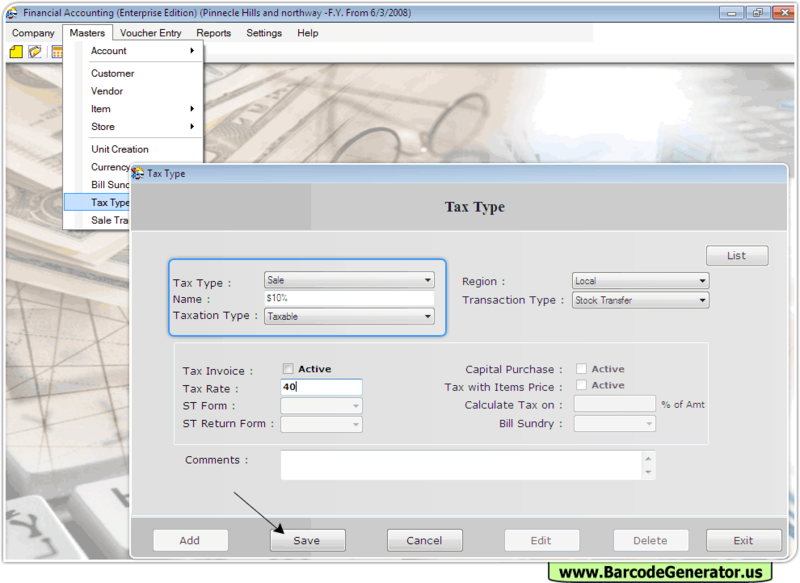 To create various Tax Type, click on “Masters > Tax Type” and fill all the details.